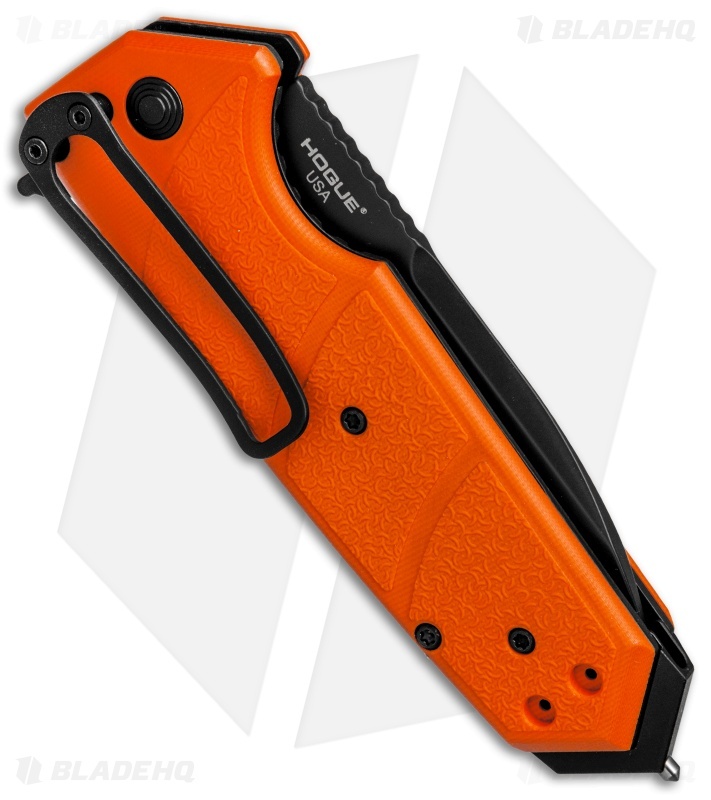 This HK Karma First Response Tool folding knife features a black finished, partially serrated spear point blade and a textured orange G-10 handle. 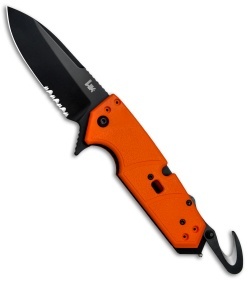 The HK Knives Karma is a purpose-built folding knife designed for easy use in gloved hands. 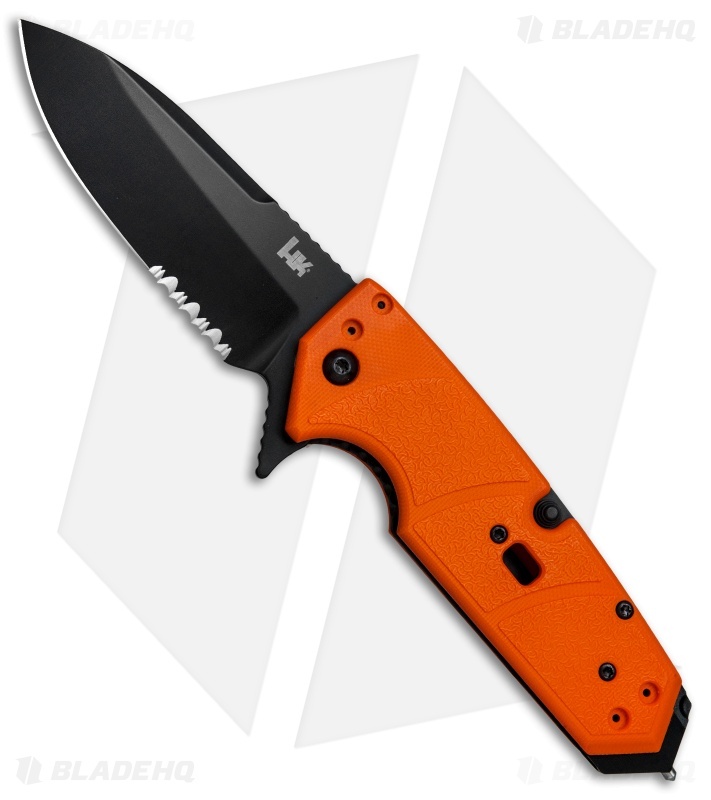 Providing the utility to slice, break, and wrench with confidence, the Karma is the perfect choice for the first responder or rescue worker. Each model is outfitted with a folding strap cutter, carbide glass breaker, four-way reversible pocket clip, and an oxygen wrench cutout in the handle. 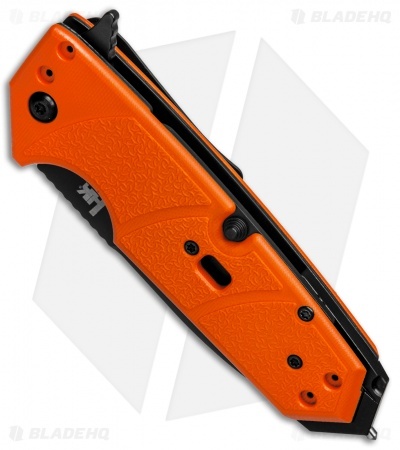 Textured G-10 scales for a secure grip in gloved or bare hands. Folding strap cutter safely cuts through fibrous materials. Secure pocket clip allows tip-up or tip-down, right or left side carry.